Today I had the chance to look for ten minutes at volume one of Vermaseren’s Corpus Inscriptionum et Monumentorum Religionis Mithriacae (CIMRM). The second volume was inaccessible, unfortunately. The two volumes apparently parallel the two volumes in Cumont’s Textes et Monumentes, so I infer that the second volume may contain literary references. 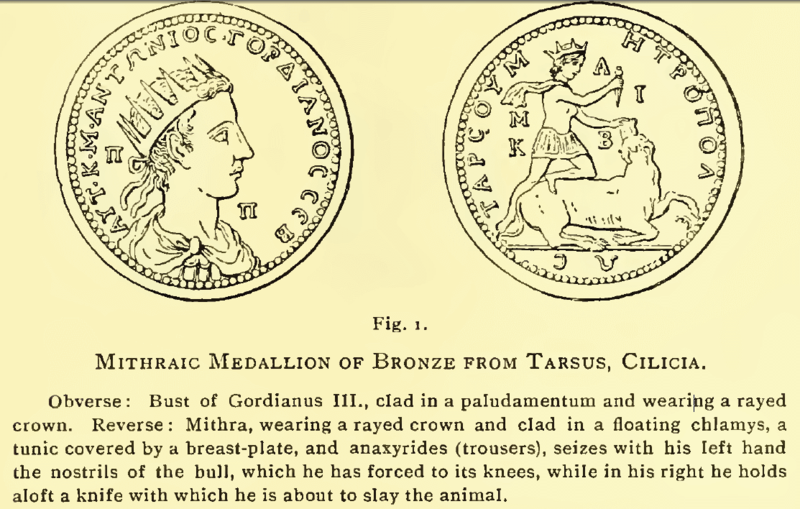 Vermaseren arranged his collection of inscriptions geographically, and started with eastern parts — some coins from Bactria, in fact, although these were clearly of Persian Mitra to my eye. 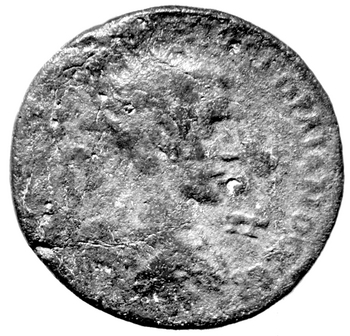 There was but a single entry for Cilicia, which was a bronze aes of the reign of Gordian III, ca. 240 AD (CIMRM 27). What struck me, profoundly, was that the vast majority of the book was devoted to finds from Rome itself. Vermaseren stated that he wanted to begin the book with Asia, as that was where the cult originated (or so he thought). But the impression made, looking at those entries, was of a cult originating elsewhere, and that the material in Asia was distinctly peripheral to it. Just holding the pages for each area revealed a cult whose archaeology was overwhelmingly western. All this reminded me of many a confident statement online. E.g. “It was in Tarsus that the Mysteries of Mithras had originated” — Timothy Freke and Peter Gandy, 1999, from here. “Now Tarsus was one of the chief seats of Mithraism” — Roy Wood Sellers, from here. “David Ulansey holds (or rather speculates) that, in the late 2nd-century BCE, a group of Stoics in the city of Tarsus originated Mithraism.” — from here. The list could be extended. And yet … all we have to support such a claim, from the archaeology, is a single coin? All this is not much, tho. We do have the statement of Plutarch in his Life of Pompey that the Cilician pirates in 68 BC worshipped Mithras. But probably the eastern deity is meant, linking the pirates with older enemies of the Romans like Mithradates. But equally we may not be able to rely on the statement at all. And that, it seems, is all the evidence we have about Mithras and Tarsus. Enough to say that Tarsus was a major cult centre? It seems unlikely. « Is there room for a remake of “Up Pompeii”? 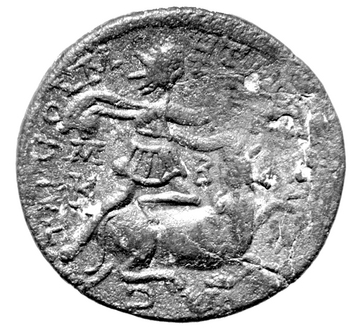 Lack of evidence in the East gives weight to the theories of Manfred Clauss and others who insist that the cult of Mithras originated in Italy. Personally, I cannot think otherwise. There is nothing to connect Mithraism to Tarsus or Iran, except one statement in Plutarch, and the name of the god. I had the chance to look at Vermaseren’s CIMRM, the corpus of all Mithraic archaeology, last week. He, of course, was a Cumontian. So he starts the book, “as the place where the cult originated”, with Asia Minor. But all he has for that location is a miserable selection of bits, mostly late. The material is obviously from the periphery. Then you move onto the section on Rome, and it’s massive. Just looking, even for a short time, at that book leaves you with a powerful feeling that the cult MUST have originated in Rome. The archaeology shows that it cannot have originated in Asia Minor; not with the tiny amounts of stuff found there. The problem with the coins are, Mithra is looking at the Bull. Ulansey makes an argument that Mithra is Perseus based on the idea that he is looking away from the bull. Similar to Perseus looking away from Medusa. Interesting thought — thank you! In all of the Mithra-Bull images, Mithra’s foot is always on the Bull’s rear facing leg. The Mithra and Tarsus coin connection seems very week. That’s interesting. But this is where we need a corpus of all the material in order to decide whether such a difference is within the parameters of an image. I’m glad you know — I wouldn’t have!